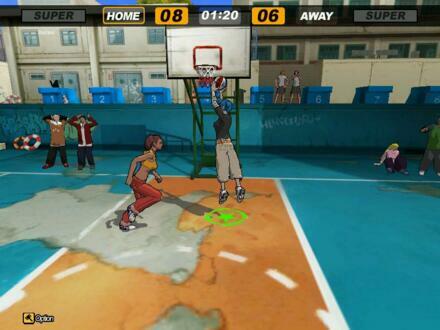 FreeStyle Street Basketball is a fast-paced massively multiplayer online PC basketball game where players meet on virtual courts to challenge each other in a dynamic pick-up game environment, featuring cutting-edge music, fashions and gravity defying basketball moves. The game’s easy-to-learn controls allow players to master every move, from simple shots to crazy alleyoop dunks, using just four keys. Gamers can play 1-on-1, 2-on-2 or 3-on-3 street basketball online against people from around the country. The game boasts an exclusive soundtrack featuring Lloyd Banks, Young Hot Rod and Sha Money XL and clothing and gear from Marc Ecko Enterprises. The globally popular FreeStyle Street Basketball has more than 30 million players in Asia.